Beauty was found at the Madonna Project and although well looked after she was being attacked on a regular basis and her puppies were in Danger. She is a very good mum to her 7 pupies, 5 of whom still need homes, she has now been spayed. She is a very gentle soul and was very reserved, but after a lot of TLC from Suzan Fhemi at her kennels, she is now a very friendly and loveable dog. She would make a good family pet and gets on with other dogs. If you think you can give Beauty a forever home, please contact Admin. She has also had her annuals and been treated for ticks and worms. 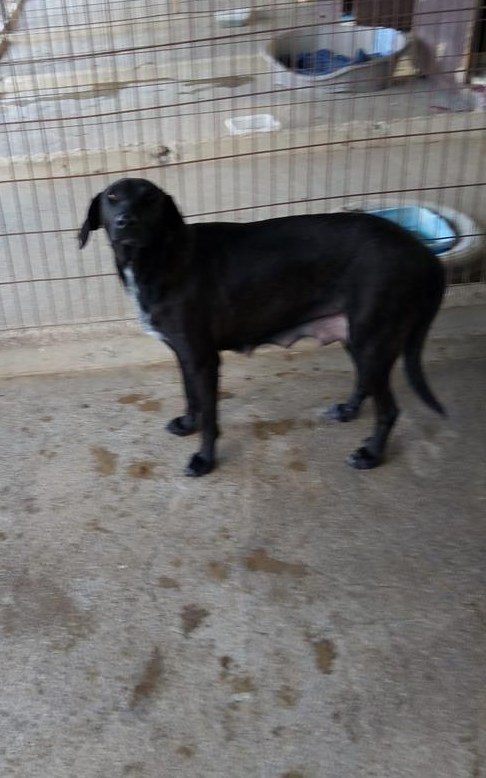 She could be homed in the TRNC or in the UK.